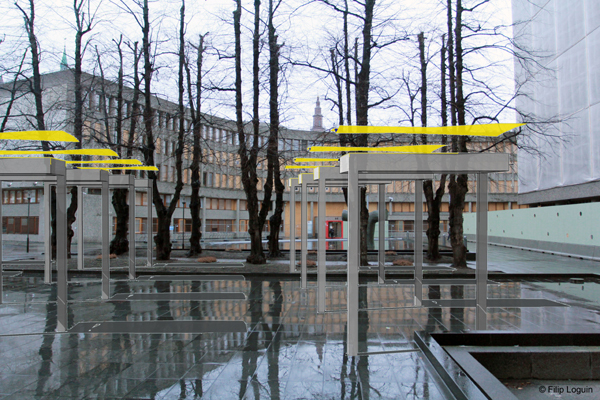 “The government headquarters in Oslo, Norway, centered on the iconic vertical block from 1958 by architect Erling Viksjø, was bombed by a right-wing extremist in July 2011. The ongoing discussion about the future of the damaged structure has so far been polarized: to preserve it and restore it to its former state, or to tear it down to build something new.” (Arkitertur N) In co-operation with Arkitektur N, Norway’s leading architecture magazine, 0047 has published an open call to architects, artists, and the general public to sketch their respective visions for the government district, and in particular Viksjø’s Y- and Høyblokka. 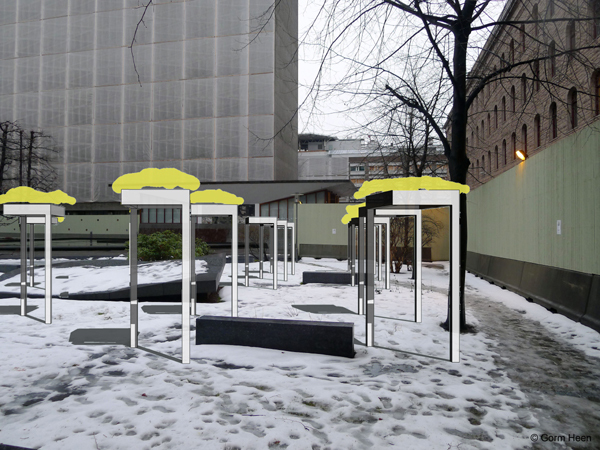 This is architectural practice NJBA A+U’s thought provoking and considered proposal for a simple memorial of raised funereal biers. 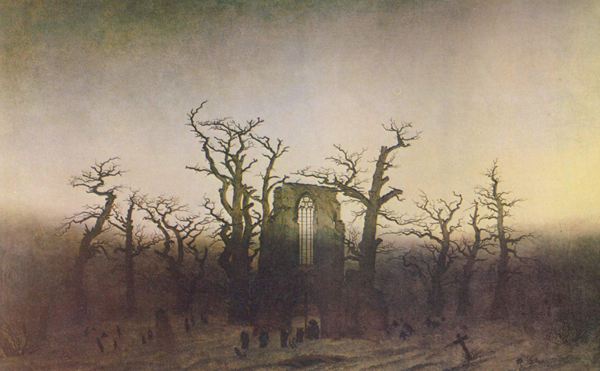 As outlined it also evokes associations with the melancholic painting ‘The Abbey in the Oakwood’ by the Romantic artist Caspar David Friedrich.